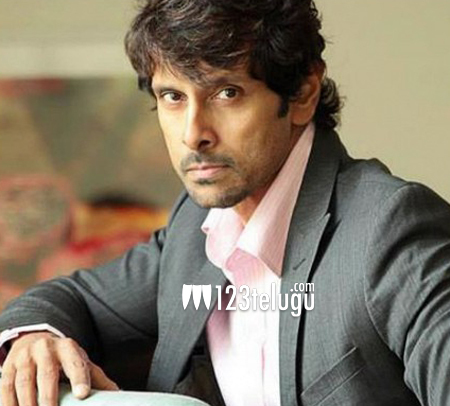 Chiyaan Vikram is currently busy shooting for his next project titled 10 Endratthukulla. Samantha is paired opposite Vikram and Vijay Milton is directing it. Already, the unit had travelled to different parts of North India to shoot crucial scenes in the film. Now, the makers are planning to shoot daunting stunt sequences on the top of moving trains in the sandy regions of Rajasthan. Samantha and a team of fighters will also take part in these scenes. Noted stunt choreographer Supreme Sundar will handle the proceedings for this high octane scenes. It is heard that Vikram, who is known for his agility in action scenes in his previous movies, had already done some spectacular stunts in this film. Bollywood actor Jackie Shroff will be seen in a prominent role and Charmmee will make special appearance in a song in this film.